Call to landlines and mobiles in the United States, the United Kingdom, Canada, France, Nigeria, the United Arab Emirates, Saudi Arabia, Egypt, Oman, India, Philippines, Australia, New Zealand, and 200 more countries and territories. ∙ VALUE FOR MONEY. Compare our rates and prepare to be amazed. We provide the best rates on more than 30.000 international call destinations. Forget about time – talk more for less. ∙ AVOID ROAMING FEES. Make a call via Wi-Fi and save a fortune on your carrier's roaming fees. Make the most out of your staying abroad! ∙ KEEP YOUR NUMBER. 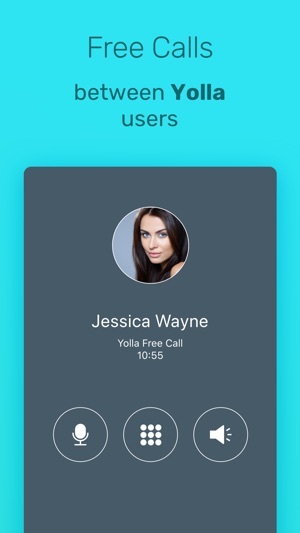 Enjoy Caller ID - a premium feature offered by Yolla for free! 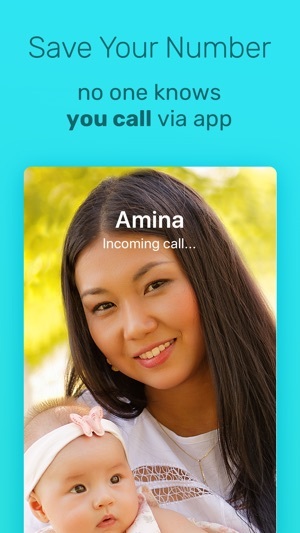 Your friends will always receive a call from your personal phone number. 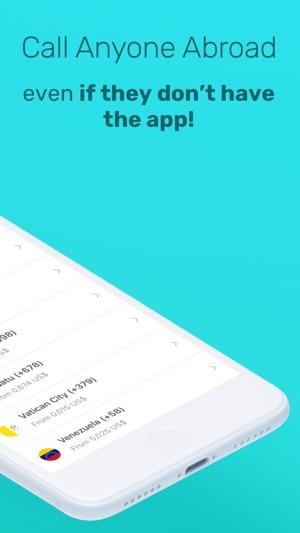 They won't know you're calling from the app! ∙ STAY IN CONTROL. We show the price before the call and don't have any hidden charges and connection fees. You pay a straightforward per-minute rate and always know where your money go. ∙ EARN CREDITS. By inviting friends you can easily earn free credits to call to landlines and mobiles all over the world. Simply send out your personal link and enjoy talking for free! ∙ MILLIONS TRUST YOLLA. 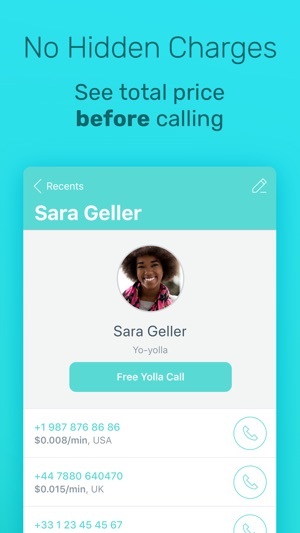 Be a savvy caller like thousands of Yolla users! Get Yolla today and start talking more for less! Drop the doubt and start enjoying calling abroad! All you need is the Internet connection – WiFi, 4G, LTE, or 3G. Your friends and partners will see no difference - but you will. Any questions or suggestions? Please contact us at hi@yollacalls.com. I am very by using this app. I can talk at our home from abroad. 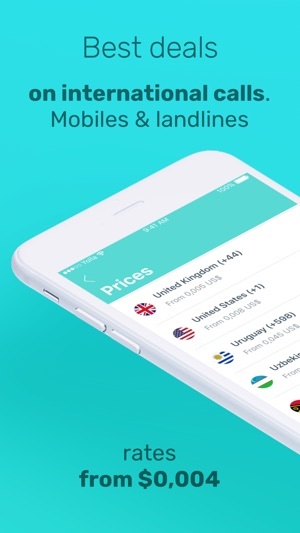 They vary the rates depending on the country you were calling! Dont install this app the change the rates frequently and the change is mind blowing ! i used to call poland and then they hiked the price about 9 times.